Our intention to help you find a connection within yourself between body and mind. We believe that fostering attention and body awareness during exercise will ignite that connection. Our distinct combination of Bodywork, Movement Therapies and exercise all contribute to this goal of establishing a strong Mind Body Connection. "Angi has helped me achieve this by not just using pilates but by drawing from her huge knowledge pool of different techniques as my body seemed to require them. 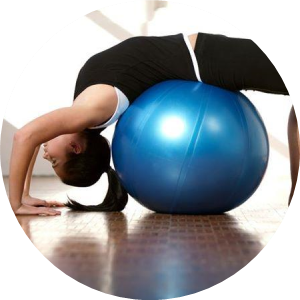 Her broad knowledge and patience is what kept me trying an improve.She has done pilates and Yamuna Body Rolling at different times depending upon what my body needed".